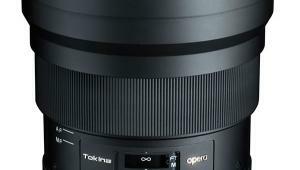 Kowa 500mm f/5.6. 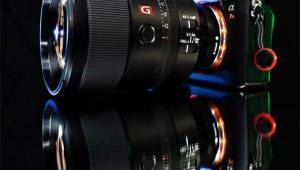 Contrast is especially important with long tele lenses: fluorite and low-dispersion glasses help to ensure this. 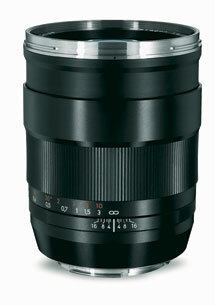 The one that intrigued us most, though it’s really pretty minor, was a new lens from Kowa, the Prominar 500mm f/5.6 FL. 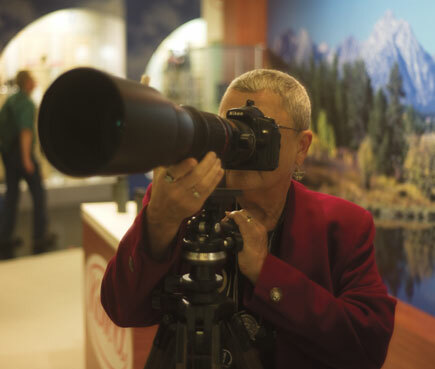 They quit the camera market years ago, but at this show they had a new 500mm f/5.6 with one fluorite element and two extra-low dispersion elements. 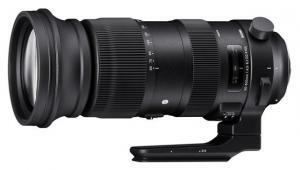 This is impressive enough on its own, but the intriguing part is that via converters it can also function as a 350mm f/4 and an 850mm f/9.6, as well as a spotting scope. 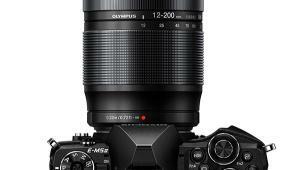 It is available in several mounts (manual focus only), and it marks the return of a minor but highly respected maker to camera lens manufacture. 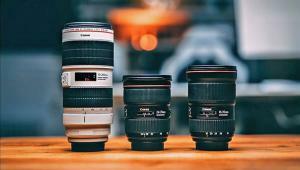 Depending on response to this lens, we were told, there may well be other introductions from Kowa in the future. Most of the features of a Carl Zeiss Compact Prime are visible here: the very detailed stop and distance scales, the cogwheels for stop and focus pulling, and the interchangeable (PL/Canon/Nikon) mount. 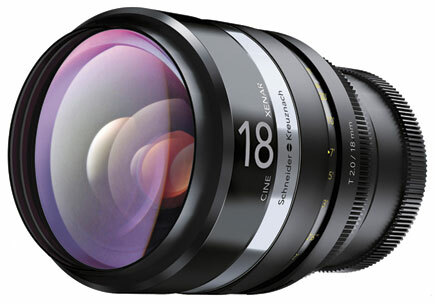 Schneider Cine-Xenar 18mm T/2.0. BIG! 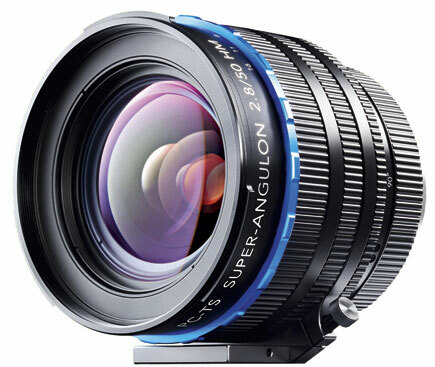 Schneider PC-TS Super-Angulon 2.8/50mm for up to 24x36mm. 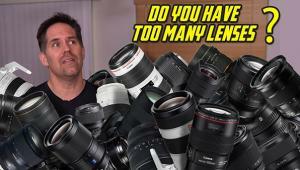 The big trend, on the other hand, was specialist “crossover” cine lenses and adapters for top-of-the-line Canon and Nikon D-SLRs. 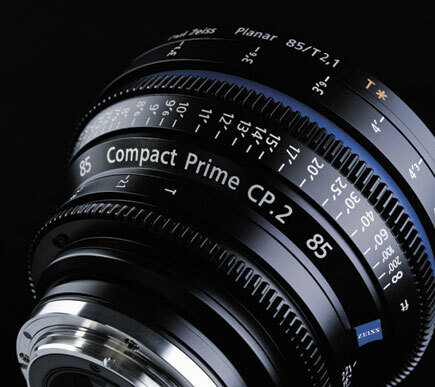 More and more people are apparently shooting high-definition video with these cameras, and both Schneider and Zeiss are now offering compact prime lenses in these two mounts as well as the standard PL cine mount. “Compact” is a relative term, of course: they are much bigger than lens mounts for normal cameras, but compact by cine standards. 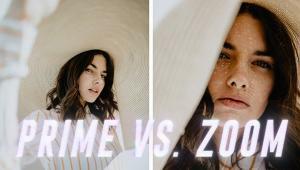 The Schneider lenses are called Cine-Xenars and are available in focal lengths from 18-95mm—the 18mm is the latest—while the two new Zeiss offerings (added to an extensive existing line-up) are the 50mm/T2.1 and 100mm/T2.1 CP.2 Compact Primes. The T indicates that these are true, measured (Transmission, hence T) speeds rather than geometrically determined f/stops. 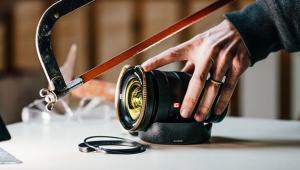 These are essentially still camera lenses in special standardized focusing mounts, designed to allow remote mechanical control of aperture and focus: “stop pulling” and “focus pulling” in movie parlance. 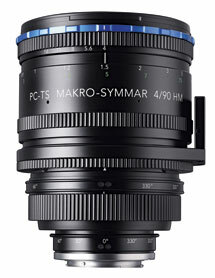 Schneider PC-TS Makro-Symmar 4/90mm for up to 24x36mm. Schneider PC-TS APO-Digitar 5.6/120mm for medium format digital. 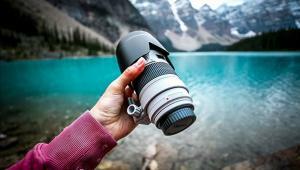 Admittedly, there are also several clever adapters to allow the use of ordinary camera lenses with focus, stop, and indeed zoom pulling, but these are rather less convenient than purpose-built lenses. They are covered in our report on accessories. 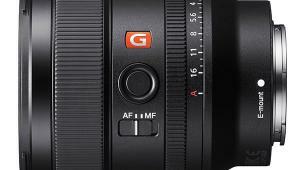 Schneider has been very busy, as they also introduced two new tilt-shift lenses for full-frame 35mm and 24x36mm sensors, the Super-Angulon 2.8/50 and Makro-Symmar 4/90, and a third for Mamiya/Phase One medium format, the APO-Digitar 5.6/120 HM Aspheric. All can be shifted up to 12mm and tilted up to 8?, with a fully rotating mount so that the movements can be applied in any direction. 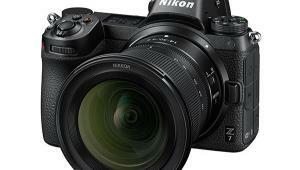 On top of all this, they introduced two new wide angles for Hasselblad, Leaf, and Phase One backs. 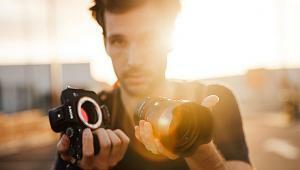 One is the ultra-wide Super-Digitar 5.6/28 with a 115? 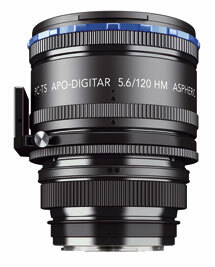 field of view and a 90mm image circle, and the other is the APO-Digitar 5.6/60 with a 90? 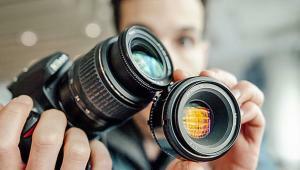 field of view with a 120mm image circle. Nor has Rodenstock been idle. 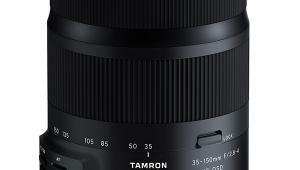 Their new professional digital lens is the 32mm f/4 HR Digaron-W: 14 glasses (!) 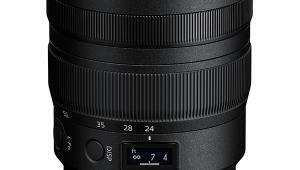 in 10 groups, 90mm image circle diameter, and an unusually large back focal length to remove worries about crashing the lens into the sensor. 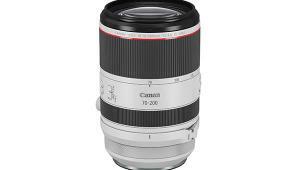 It weighs an impressive 795 grams (28 oz) and fits in a size 0 shutter. Zeiss 1,4/35 Distagon in Nikon and Canon mounts.